What are Side-effects of Norco? Norco is the brand name for hydrocodone and acetaminophen combination drug used for pain relief. Norco side-effects of misuse include getting high followed by sedation. The risk of death by overdose is high because the opiate hydrocodone slows breathing. Long-term effects include tolerance, dependence, addiction, withdrawal sickness, and danger of switching to more dangerous drugs like heroin. Norco is the brand name for a medication made of hydrocodone and acetaminophen. There are other brand names of this combination including Vicodin and Lortab. Also, it is available as a generic drug. Norco is a Schedule II drug, meaning it is only legally available with a prescription and has a high potential for abuse. Hydrocodone is an opioid, a medicine used for pain relief. Also, acetaminophen is a pain reliever. Both drugs work together to increase the pain-relieving effects of the other. Doctors prescribe Norco for moderate pain and sometimes as a cough suppressant. Since Hydrocodone is an opiate, Norco side-effects are like other opioid medications. It works as a sedative, cough suppressant, and pain reliever. When taken as prescribed, immediate side-effects include decreased pain, drowsiness, nausea, dizziness, slowed breathing, and some mental confusion. Taking too many Norco at one time results in a rush of euphoria followed by sedation. You can get high, but the chance of overdose increases. When hydrocodone sedates the central nervous system, the part that controls breathing also slows down. Consequently, in some people, breathing can slow so much it stops. Physical dependence to Norco can develop even after short-term use. Even if used according to a doctor’s orders, the body adapts to having hydrocodone. When it is time to stop using the medication, do so under a physician’s orders to prevent getting sick with withdrawal. If someone is abusing Norco, the body will need more of the drug to feel high; a process called tolerance. Another Norco side effect is the adverse reactions when taken with other drugs. 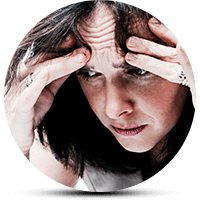 Alcohol, benzodiazepines or other anxiety medications magnify the sedation symptoms. Therefore, the risk of overdose because of stopped breathing increases dramatically. Withdrawal occurs if someone stops taking Norco after long-term use. The sickness includes constipation, abdominal cramps, sweating, muscle and joint pain with increased anxiousness, restlessness, and insomnia. Quitting under a doctor’s supervision will help avoid these symptoms. The doctor will taper the dosage down to a level for safe discontinuance. Just because someone is physically dependent, however, does not mean they are addicted. Addiction risk increases the longer someone takes Norco. Drug seeking and escalation of use are indicators of addiction behavior. If someone is misusing Norco, they will run out of pills early, doctor-shop, or ask for pills from people they know. They may try to take Norco differently to get it into the body faster. The likelihood of getting high increases when the drug goes into the body faster. The method taking Norco may change to crushing and snorting pills or crushing and injecting pills. Since federal regulations make it harder to get prescription opiates, if they can’t get Norco, they may switch to a stronger opiate drug like oxycodone. If those are hard to get, they may switch to an illegal street drug such as heroin. Withdrawal symptoms mentioned above are worse when someone misuses Norco because the dosages are much higher. Some research finds long-term side-effects of opiate use may damage some parts of the brain. It may affect decision-making abilities, behavioral regulation, emotional regulation, and responses to stressful situations. Anything a pregnant woman takes into her body passes on to the baby. Expectant mothers who misuse Norco increase the risk that their baby will be born opiate-dependent. Also, the child could experience respiratory depression and withdrawal symptoms at birth. These symptoms are life-threatening for a newborn. Research also shows babies born addicted to opioids are more likely to have developmental delays and disabilities.